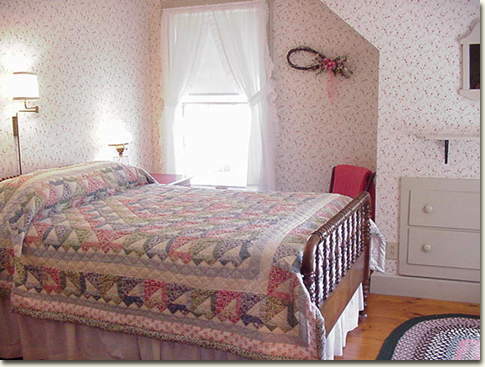 We call this room the Elisabeth vonTrapp Room because it is decorated in the warm colors our friend Elisabeth likes. It features a queen spool bed and has dresser drawers built into the wall. It has a chair and small table which can be used for a desk if desired. This is a sunny room with both south and east windows looking down on the flower garden.